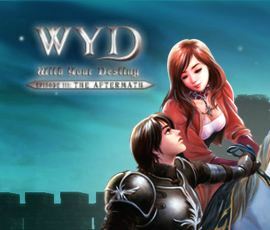 WYD Global or With Your Destiny is a free to play Norse Mythology-based 3D MMORPG game developed by JoyImpact Co. Ltd in South Korea and published by T3Fun for Global players. WYD focuses on 2 rival kingdoms in a medieval setting that are fighting for supreme power. Much of the game interaction encourage and focus on fast pace orientation and party system to lever the traditional tiresome leveling system. Also the game features a castle siege system in the cities of Armia, Arzan and Erion that advanceds the guild systems. Detailed graphics of character and terrain at a maximized zoom. Pragmatic day and night visual effects. High quality full 3D graphics. Wide array of skills and weapons. Superb attacking actions and sound effects. Hunting monster, Guild wars, and Guild ranking tournaments will provide more excitement in the battlefield. Mouse based controls and easy to memorize hotkeys. Easy panning of camera view. Low system requirements with a high quality 3D graphics. Periodical Guild War and Guild ranking system. Adds more fun, excitement, and interest through wide variety of quests. Dungeon of Darkness, under world, and Desert Zone. Boss monsters special items drop. Two separate kingdoms : Hekalotia and Akeronia. Additional items that can be use for competition. Tax system on the kingdom. Mount that will increase Character’s movement speed, attack damage, evasion rate, and resistance. Wide variety of Mounts with different capabilities and skills.